» Interaction08 is this weekend! January 28, 2008 | Comment? 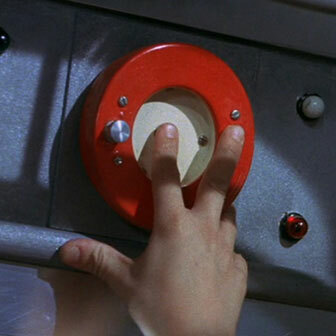 Lately I’ve been thinking about a topic closely related to the history of the button, the language of interaction. The history of the button itself is the story of how our standard interaction lexicon came to be, the back story behind the words and icons and colors that we take for granted when we use objects. The language of interaction is that lexicon. In preparation for my talk at Interaction08 next week, I’ve been working on an article that states this idea. I will publish it then on this site, but for now, here’s the abstract. As interaction designers during a time of rapid technological change, we are in the incredible position of collectively creating and curating a new language, the language of interaction. The building explosion of products with interfaces means that people have to continually adapt and learn new things. They will have to read each interface and look for clues, common visual elements that theyâ€™ve seen before. They’ll subconsciously look for a language that comprises words, sounds, colors, icons, motion, gestures, priorities, hierarchies and more. We are the custodians of this language, creating and curating it organically. We need to start seeing it everywhere and learn from each other as we define the future relationship between people and technology. As I publish more on this, I’ll be interested to hear what you think about it.